How were the sun and other planets formed? How do scientists explore other planets and space? Are there intelligent forms of life on other planets? Could we live on other planets? In space? How? 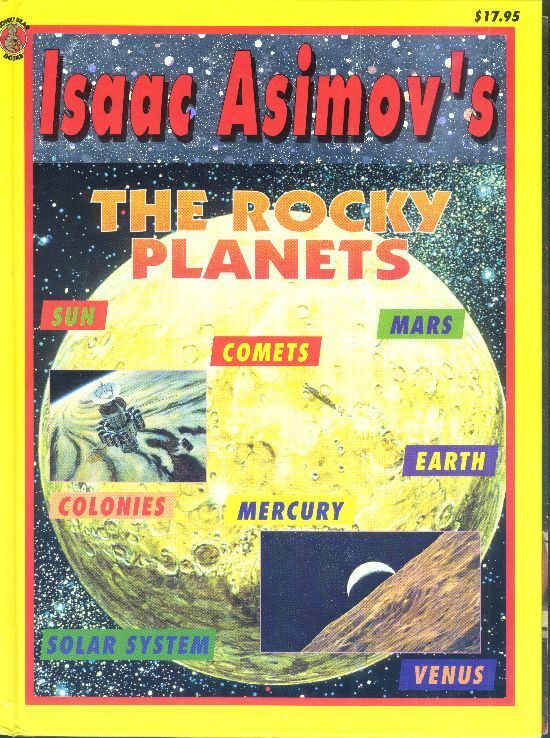 Come along on a journey with Isaac Asimov to discover scientists’ answers to these and other questions about our Universe, the Sun, the Solar System, and the rocky planets--[sic] Mercury, Venus, Earth, and Mars. The fascinating photographs and illustrations will make this one journey you won’t forget! Of Asimov’s three books devoted entirely to Mars (the other two are Mars and Mars, the Red Planet), this is the last and in some ways the best. While it lacks the thoroughness of Mars, the Red Planet, it is slightly later and slightly more current, and far more copiously illustrated. Still, it’s strictly for younger audiences; teenagers and adults would find the reading of Mars, the Red Planet a far more fulfilling experience.